Many of the calls I receive from parents focus on how to get their kids to eat "what they should be eating." This can be challenging, but there are many things that parents can do to encourage healthier eating habits in their children. Here's my advice for dealing the most frequent questions I get from parents. Q. My preschooler won't try anything new. What's wrong with her? A. Children are naturally neophobic and uncomfortable with trying new things. Simply put, they prefer what is familiar to them. However, children learn by copying their parents, so set an example by eating a variety of foods with them at meal and snack times. Another strategy is to invite your kids' friends over for a meal, as children will often eat what their friends eat. Work at involving your children in meal planning and meal preparation - they will be more likely to eat what they have helped prepare and serve. At mealtimes, serve a variety of food choices and let your child choose from what is offered. Staying relaxed at the table goes a long way towards encouraging your child to accept a new food. Getting excited or upset about your child's food refusal will just work against you, for your child will learn that your desperation gets him more attention. Resist the temptation to coax, bribe or instruct your child to eat; pressure makes children less willing to try new foods. Keep in mind; it can take 20 exposures to a new food before a child learns to like it. Q. It really bothers me when my child refuses to eat something that he loved yesterday. How do I get him to eat properly? A. Children learn very early in life that one of the best ways to get their parents' attention is by refusing to eat. This is your child's way of exerting power. Help prevent battles with food by eating meals without commenting on your child's decision to not eat. Let your child know when the next meal or snack time is, and do not offer anything until then. Never short-order cook for your child (ie. prepare mealtime substitutes because your child refuses to eat what is on the table) or you can look forward to ongoing food battles and unpleasant control struggles between you and her. Lastly, acknowledge that your child may be tired, sad or just not hungry at this particular time. Reassure him that he can choose to not eat right now but you would like him to sit with you at the table during mealtime. This helps establish and maintain healthy mealtime habits both now and down the road. Q. Should I give my child more fruit juice if she won't eat her vegetables? A. The short answer to this is "no." Drinking juice can decrease your child's appetite for food and it is just not a good habit to get into. It is recommended that preschoolers be offered no more than ½ to 1 cup of fruit juice per day as the majority of their fluid needs come from milk and plain water. Unlike fruit juice, whole fruits and vegetables are packed with a wonderful array of nutrients, fiber and healthy plant chemicals needed for optimal growth, development and disease prevention. The question really is: how do we make fruits and vegetables more appetizing? Use the benefits of color to attract your child to fruits and veggies, and do what works specifically for them. Have them choose whatever raw veggies they find appealing and serve them with their favorite dip or salad dressing. Don't be afraid to top cooked veggies with a favorite cheese sauce; it's better that they eat veggies with some fat than not to eat them at all. Serve your child salad on her favorite plate; younger children can learn to eat salad as finger foods. Jam-pack your soups, sauces and casseroles with in-season vegetables; puree them for thicker texture and discerning eyes. Have your child prepare a little fruit tray that you can share together at snack time. Like adults, children eat with their eyes first and the more attractive, the more appetizing. Help your child plant a small vegetable garden in the backyard or in a container. Children are more inclined to eat vegetables that they have planted, grown and picked themselves. Be proud of the skills you are fostering so early on. Take your children out to local farms to learn how apples, blueberries or strawberries are grown and picked. Teach them the different ways to enjoy fresh produce. No doubt, this takes effort, but the long-term payoffs of healthy, vibrant children may be well worth your time. 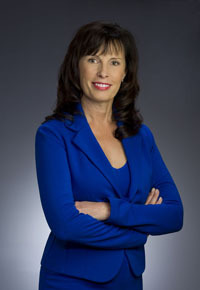 Anita Romaniw is the Community Nutritionist with the Fraser Health Authority. She can be reached at the Abbotsford Health Unit at 604-864-3400. Please visit your local health unit for current recommendations and resources on feeding children.